Inhabitants of Liverpool are referred to as Liverpudlians but are also colloquially known as "Scousers", in reference to the local dish known as "scouse", a form of stew. 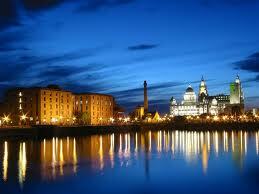 The word "Scouse" has also become synonymous with the Liverpool accent and dialect. Liverpool's status as a port city has contributed to its diverse population, which, historically, were drawn from a wide range of peoples, cultures, and religions, particularly those from Ireland. The city is also home to the oldest Black African community in the country and the oldest Chinese community in Europe.The popularity of The Beatles, Gerry and the Pacemakers and the other groups from the Merseybeat era contributes to Liverpool's status as a tourist destination; tourism forms a significant part of the city's modern economy. The city celebrated its 800th anniversary in 2007, and it held the European Capital of Culture title together with Stavanger, Norway, in 2008.